Your e-commerce business is full speed ahead. But that’s not good enough. You’ve been tasked with higher and higher growth expectations. And now you have even more at stake. You are likely spending more and more to drive traffic to your site. You can’t let that big investment in advertising fizzle with diminishing ROI. Good news. You have a high-impact driver you can execute against right now. Improvement to your conversion rate is the greatest lever at your disposal. Even a small conversion rate increase can generate big revenue gains. Let’s start by understanding how you can best measure conversion rate. 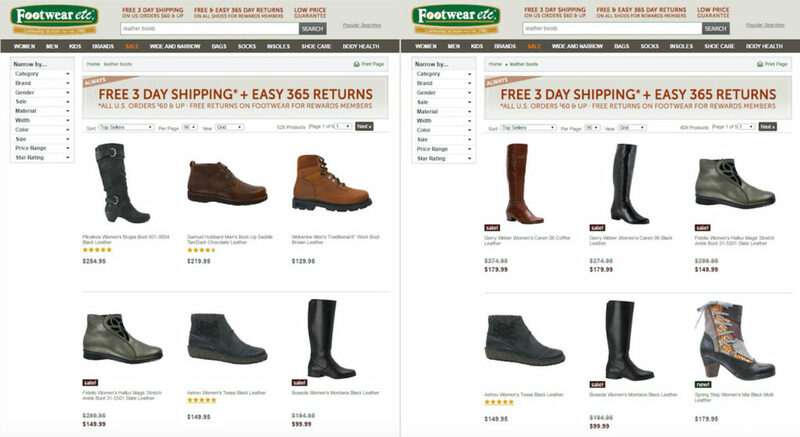 Online retailers track many conversions throughout their customer experience. Any action goal can be considered a conversion. A click on your email, a click on an advertisement, or a newsletter signup are considered conversions. The conversion metric you really want to focus on is a purchase. Your sale conversion rate is calculated by simply taking the number of purchase transactions and dividing that by the total unique visitors to your online store during a time period. That’s pretty straightforward. But what is a good conversion rate to set as your target goal? This 2017 holiday shopping to date, average e-commerce conversion rates are showing growth: desktop 4.5% (up 10.6% YoY), smartphone 2% (up 12.3% YoY), tablet 4.3% (up 9.3% YoY), according to Adobe Digital Insights. And Amazon boasts an amazing 74% conversion rate for its Prime members and 13% for non-Prime visitors back in 2015, based on a Millward Brown Digital study. In comparison, the same study showed the average conversion rate for Top 500 merchants is 3.32%. Are those the right conversion rate benchmarks for you? Probably not. It is interesting to set an aspirational goal against Amazon or other leaders that compete in your industry. However, you are best served by benchmarking where your own store is now. Then set a course for continual improvement to drive conversion optimization goals and strategies. Measure your overall sales conversion rate for your entire website the past year. That’s your starting point. That’s the number you want to beat in 2018. Then the key is to drill down into your sales-rate performance for different contributing factors and customer segments. That’s where your actionable insights really happen. Now let’s explore the best way to analyze your conversions to enlighten your growth plans. Conversion rate is a very useful metric to track. But the real impact to your e-commerce business is analyzing and understanding what is driving your performance and why. The first step is to build a dashboard that tracks and trends your conversion rate. Google Analytics and many e-commerce platforms provide a dashboard that lets you see your conversion rate over different periods of time. SLI Systems also has a very powerful dashboard built into the Commerce Console. You get an helpful view of your shoppers’ activities and conversion rate through their shopping journey. Or you can simply use a spreadsheet. Capture your monthly unique visitor metrics and plug in your corresponding sales transaction data to calculate your conversion rates. Again, simply divide transactions by unique visitors to get the conversion rate percentage. Next you’ll start the drill down analysis. What Is Driving to Your Conversion Rate? Your overall conversion rate calculation is an average. Many different factors drive that single number. Some factors contribute significantly more than others. It’s your job to break down those key drivers to find growth opportunities. Start by segmenting your conversion rate data into categories. The most common way to split up your data is by different customer audiences. Different types of customers have a different relationship with your e-commerce business. They may also have different purchase intent, which directly impacts your conversion rate. Your analysis can uncover those segments that likely have differing intent to purchase. Then you can calculate the conversion rate for each segment. And you’ll see which audiences have the greatest influence on your overall conversion rate. Here are several helpful ways to segment your audience. First-time visitors vs. returning visitors – First-time visitors often make up a big majority of online traffic. But it stands to reason that those first-time visitors who may be unfamiliar with your brand are less likely to purchase than returning visitors. Acquisition channel – Where visitors come from can help tell you how likely they are to buy. Segment by channels like organic search, paid search, social media, advertising, and affiliates. Device – The device visitors use may indicate different intent as shown in the Adobe data insights mentioned earlier. Location – Are you a global brand or do you sell domestically? Traffic coming from different international locations may be browsers, not buyers. Other demographics – Google Analytics can help you analyze other demographics like gender, age, or interest affinity groups. Product category – Conversion rates may be higher for different products based on the volume sold, price range, or deliverability. For example, you would expect the online conversion rate to be lower for expensive furniture than easily shipped lower-priced home decor. Promotions and seasons – Different discounting periods or traditional shopping seasons may affect conversion rates. Website elements – You can track conversion rates by different elements of your customer experience. Make sure you look at your conversion rate over time. Don’t just take a single snapshot in time to make your decisions. A single data point or particular shopping season can skew what you see and may lead you to incorrect decisions. Calculate your segmented conversion rates into monthly or weekly increments. Go back in time as far as you can. Then you can chart trends and make year-over-year and month-over-month comparisons. Starting with one segmentation method is also recommended. Add that to your dashboard. Keep tracking that segmented data to see how you are performing. Then expand your analysis to other segment categories. Your conversion rate analysis helps you find your growth opportunities. But it doesn’t tell you exactly why those different segments are performing the way they are. Why Is Your Conversion Rate Increasing (or Decreasing)? Now you can dig a little deeper to understand why your conversion rate is increasing or decreasing. Find the root cause by adding a second dimension to your analysis of a particular segment category. What is the behavior or characteristic about a given segment that is likely causing sales to go up or down? The best way to do this is to add one of the other segment categories as that additional dimension. For example, if your primary segmentation is based on acquisition channel, then you can drill down using product category purchased or device used or location demographics. Analyze that data. Look for trends. Make comparisons. Maybe your conversion rate was 6% coming from Google Adwords. But the Adwords conversion rate for desktop users was 8% versus 2% for smartphones and 4% for tablets. Now you have an understanding of how the device contributes to that channel’s conversion rate, taking the volume into consideration. And how did that paid search channel breakdown compare to your other channels? For example, smartphone conversion rate maybe 4% from your emails and 1% from social media. Identify big shifts and changes. Discover anomalies. Using the Google Adwords example again, maybe starting in July you see an increase from 5% to 7%. And that higher rate seems to have continued for several months. That increase in July may have corresponded with an increase in your PPC bids or budget. Or maybe you launched a new set of keywords for a hot brand. You could hypothesize why the increase happened and continued. This additional lens into your primary segmentation can uncover the root cause. You are now ready to take action with that data-based knowledge in hand. You are armed with lots of data and valuable analysis. You can now more easily prioritize the action you want to take and build an optimization game plan. Typically you’ll want to pick one to run every quarter. That single-focus test approach helps you isolate the incremental sales and conversion rate you’ve achieved. You also give enough time to achieve improvements, validate the results with enough traffic, and eliminate most anomalies by running the test for a longer period of time like two or three months. Which tests should you run first? It’s always good to start with the test you feel can have the biggest financial impact. Estimate the revenue impacts for all the top activity ideas you have identified. How much would sales increase by each incremental tenth of a percent increase in conversion rate? Then look at the level of effort and investment cost of running the test. If an activity may have a high-revenue upside while requiring little extra work, then you’ve found a great place to start. Let’s look at some of the highest conversion boosting opportunities you have. The best conversion rate optimization tests consider the customer experience journey. Understand the different interactions from the first moment a shopper lands on your website, through finding and choosing a product, and all the way to checkout and completing the purchase. Arguably one of the best ways to increase your conversion rate is to win more sales from visitors who already have a high intent to purchase. So how do you know that someone comes to your site with the intention of buying? Shoppers signal their intent when they use your site search. SLI studies have found visitors that use search buy at a 2.7x greater rate than visitors who just browse. Make the act of searching even easier by enticing those visitors who have a specific purchase in mind. Position your search box in the header and in the center of every page. Provide an engaging prompt to search in the search field. And make the box large and distinctive from other forms. Don’t tuck the search box into the corner or hide it behind a magnifying glass icon that searchers have to click. Speed up the search by suggesting possible terms as visitors start typing the first letters of a keyword. This autocomplete functionality draws from your product feed to indicate that productive search results are available. Better yet, you can rank the autocomplete terms by the most popular keywords by clickthrough and purchase data, not just keyword matching. Pro Tip: Enhance your autocomplete feature by presenting specific products in the search suggestions. Display the product name, image, and price for the most relevant products. Boden speeds up the purchase process doing just that. This enhanced functionality helps your visitors identify products they are looking for even more quickly. Then send them directly to the product page. Skip the extra category page browsing. Bypass the search results page. Get high-purchase intent shoppers directly to a product. The key elements of a product landing page are designed to showcase the product so that customers can easily make a purchase decision – product title, descriptions, specs, purchase options, ratings, reviews, and, of course, pricing and discounts. This product feed information gives shopper the facts. However, we humans actually make purchase decisions emotionally much of the time. Shoppers love the wow factor. That’s where online visual merchandising excels. e.l.f Cosmetics shows off their eye shadow products with beautiful images and attractive videos from Instagram. These social media images inspire shoppers. Better yet, many of the pictures are user-generated content from customers. Similarly, fashion sites often display extra images since shoppers can’t actually hold the item in their hands. Visual merchandising best practices, like model videos, product pictures from many angles, and custom images that change with color selection, can help drive more sales. Pro-Tip: Help customers visualize what their experience will be after they make the purchase. Show action shots and product videos that depict how the product is used, what the buyer gets in the box, or how to install it. The top job of merchandising is to promote the products a visitor is most likely to buy. One of the best online merchandising techniques is to use a “You May Also Like” product recommendation strategy on the product page. Showing alternative products that are similar to the product being viewed is proven to increase conversion rates. Unfortunately, many e-commerce sites determine the recommended products using simple category and keyword matching. 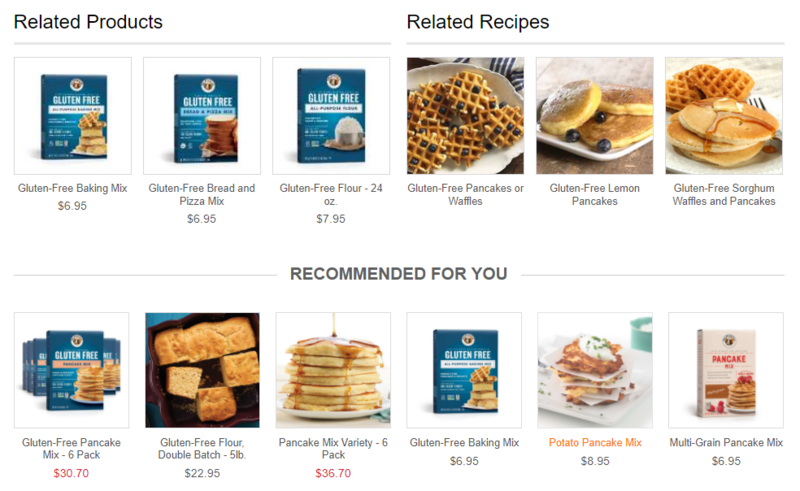 This approach focuses on the product feed data only. 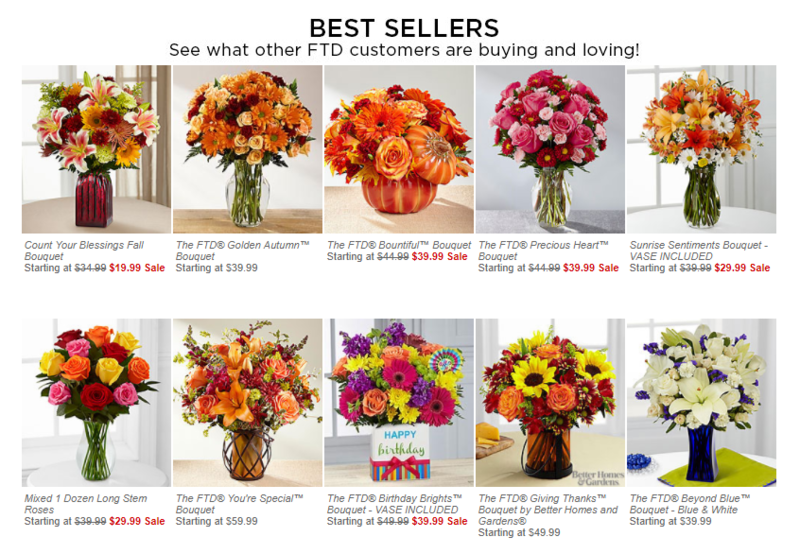 Fortunately, online stores have massive amounts of behavioral and transactional data in addition to product feed data. “You May Also Like” product recommendations that include actual customer behavior are more likely to convert. For example, Dancewear Solutions recommends several contemporary dance dresses on a product page. It also merchandises complementary products that go with the dresses based on what customers had made purchases in the past. Pro Tip: Customers love a personalized shopping experience. In-store salespeople give a personal touch to help customers get exactly what they want. Now artificial intelligence is helping online stores create a similar personal customer experience. 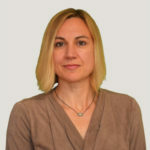 E-commerce personalization uses machine learning to sift through massive amounts of behavioral data to quickly provide smart product recommendations. Contextual personalization can display products that customers are even more likely to buy based on gender, size, brand preference, or the shopper’s location. Smart e-commerce companies create as few steps as possible to get to checkout. Customers are more likely to complete their purchase when you allow visitors to add products to shopping carts or go to checkout directly wherever they are on your site. 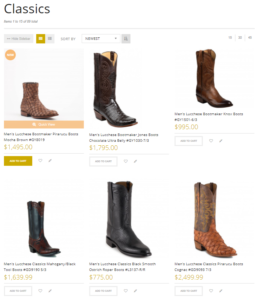 Don’t limit the use of “Add to Cart” or “Buy Now” buttons to your product pages. 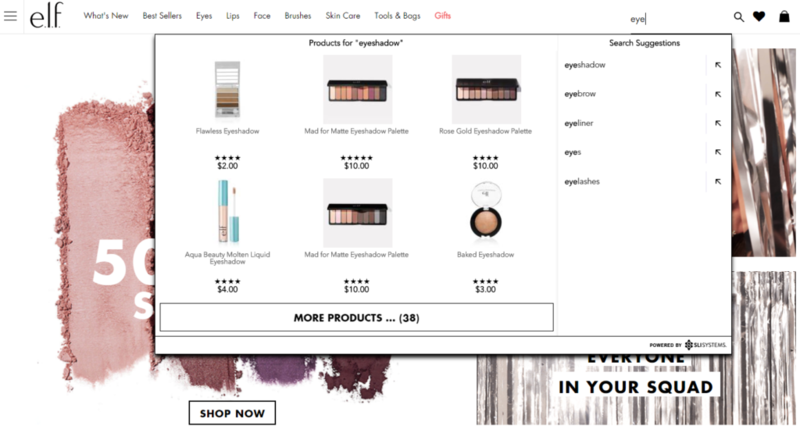 Anywhere you merchandise products, even your homepage, is an opportunity for customers to commit to purchasing without an extra click to the product page. Pro Tip: Include “Add to Cart” button directly in the your category pages and search results pages. That’s what Allens Boots did. This quick enhancement helps speed the conversion, particularly if your customer knows exactly what they want. Don’t rely solely on the product description provided by the manufacturer to influence a buyer. Inform your customers about what a product can do. Offer how-to articles, demo videos, and comparisons against other similar products. Content has a strong influence on e-commerce conversions both rationally and emotionally. 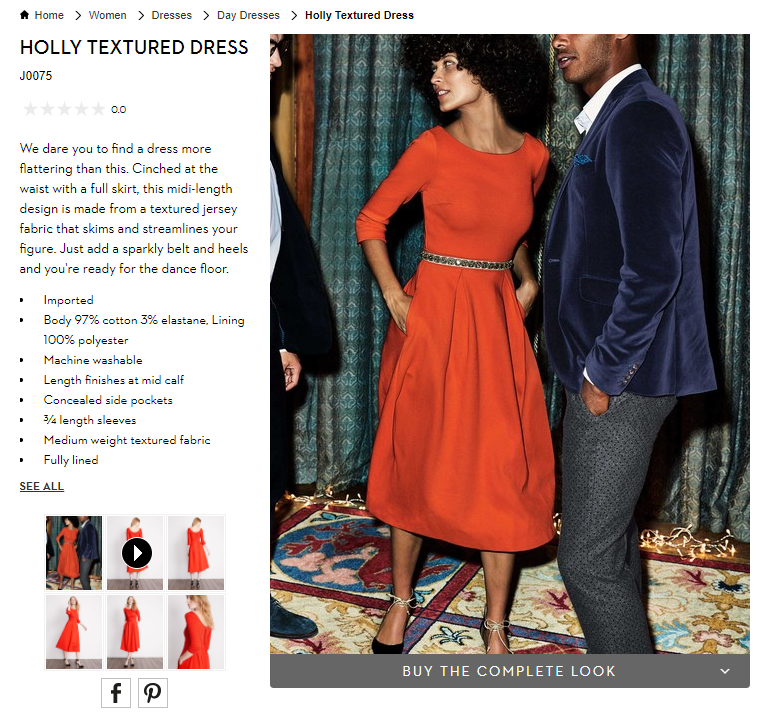 How-to content helps remove rational doubts or questions that make shoppers hesitate. Video content in particular also has an emotional trigger for sales as customers can visualize themselves using the product. 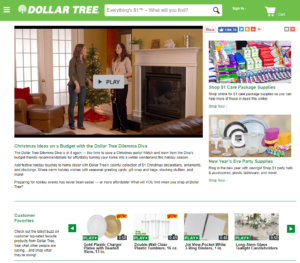 Dollar Tree uses videos to show shoppers curated product ideas and demo top-rated customer favorites. Pro-Tip: Include a set of Frequently Asked Questions (FAQs) on the product product. Ask your customer service team for questions that they get about the product. Review common reasons for returns. Think of questions you would have if you were going to pay your own hard-earned money. Then create a strong set of FAQs written in the language that customers use. The pressure is on for retail businesses to deliver on big sales growth expectations. That’s in the face of slow consumer spending growth combined with the tectonic shift in traditional retail channels. You need to turn more shoppers into buyers. You can’t afford for your investment to bring more shoppers in the door or onto your e-commerce store that leave with an empty cart. That’s why optimizing your customer experience is more important than ever. Let’s first dig into how customer experience is changing. 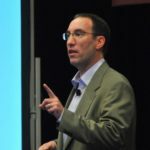 What is Customer Experience Today? In the past, customer experience strategies focused on the discrete interactions shoppers had in the sales process. These touchpoints took on even greater importance with online retail channels simply because it was easier to track and optimize each webpage leading up to a sale. However, this touchpoint-focused approach to improving customer experience can easily miss one critical element… the customer journey. The journey is the customer experience. The overall journey can still disappoint customers, even if your online store design, in-store layout and staffing are executed well on individual touchpoints. Understand the customer journey in your shoppers’ terms. Customer journeys include many things that happen before, during, and after the actual purchase experience. The journeys can be quite long, though the purchase decision can be extremely fast. Consider the multiple channels, devices, and, yes, direct interactions that may occur over days or even weeks. Put yourself in their shoes. You buy products for yourself all the time. Think about your entire experience and why you made a purchase or didn’t. Where and when did you first learn about a store? What was your first impression of the brand? What triggered you going in the store or to the website? How easy was it to find what you wanted? How did you feel about the product price and value? Product quality? Selection for you? How did you feel about the shopping environment in-store or online? What sales help, customer service or employee interactions did you have? How did the purchase transaction go? Was it fast and easy? How did you get your product? Was shipping fast? Did you need to exchange or return? Always be asking how you can improve that journey. Next you need to figure out if you’re on the right path to improvement. How do you know you are improving your customer experience? You’ll want to look at the numbers. It’s very tempting to dive right into the weeds. Retailers now have so many powerful analytics tools. And data collection is getting easier. However, direct contribution to macro financial metrics and sales trends can be difficult. Remember, your customer experience is a holistic journey. So your best customer experience metrics are more macro. They are not necessarily analyzing and optimizing discrete touchpoints. Start by measuring key customer experience outcomes, customer feedback, and employee feedback. The most common outcome metrics are financial. Let’s assume you are already tracking total revenue, profit, and transaction volume. Great financial indicators of your customer experience is Revenue per Customer and Average Transaction Value. Make sure to also track Revenue per Visit (RPV) for your online channel or if you are a pure e-commerce business. This metric estimates the incremental value of each visitor to your online store. Simply divide your total online revenue by the total number of unique visitors to your website. You also need to measure your Net Promoter Score (NPS) to capture how customers feel about you. NPS is a fantastic customer satisfaction metric to track over time. Customer experience and customer satisfaction are closely correlated. Categorizing the results of this open-ended “Why” question helps you measure the impact on different factors in the customer journey in your customers’ terms. For example, you may group results by broad areas like customer service, products, or pricing. 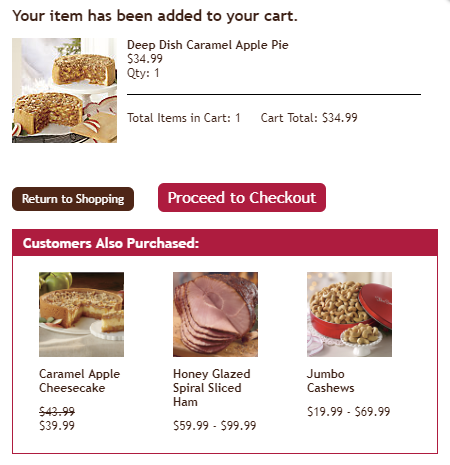 Or you can go more granular into the touchpoints like checkout experience, shipping, or return policies. Learn more by further breaking down your NPS by customer segments. You can segment by geography, gender or age demographics, order revenue, or purchase frequency or recency. Lastly, you should also measure your Employee NPS. Employee satisfaction is also highly correlated with customer experience. Happier employees lead to better customer experiences. After all, your employees are most responsible for delivering a great customer experience. All your employees contribute. 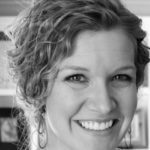 Even someone behind the scenes in HR, the warehouse, or web development have an impact that trickles into the experience. Here again, look closely at the “why” to measure and track the drivers that influence your employees’ feelings. Those feelings result in behaviors and actions that directly and indirectly impact your customer experience. Listen to what they say and recommend. Track these financial and satisfaction metrics consistently. That’s how you will know your customer experience is on the right path.They are your “North Star” numbers. Once you’ve established those customer experience measurements, you can then go deeper into specific success metrics for operational improvement initiatives. Use Google Analytics and e-commerce platform results for your online channel. Now let’s look at the latest trends you can leverage to boost your customer experience metrics and sales. Retailers continue to leverage technology to improve customer experiences. Much of the change comes from consumer technology use as a pulling factor. For the first time ever, more people say they plan to shop online (59%) than in big box stores during the 2017 holiday season, according to the NRF. Here are three technology trends that help brands connect better with customers and improve their overall customer experience. The continued rapid growth of smartphone use is undeniably impacting retail sales. Similar to how e-commerce is the growth engine of overall retail, mobile sales are powering e-commerce. The rising tide is driving much of that growth. 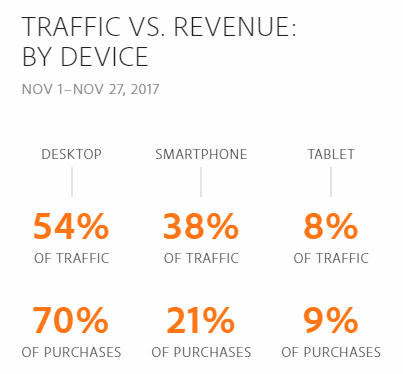 Mobile traffic from smartphones and tablets peaked on Black Friday and Small Business Saturday (56% of traffic). Then leveled out to 46% of traffic, almost equivalent to desktop traffic (54%), through Cyber Monday 2017, according to Adobe Digital Insights. However, the mobile shopping experience is a challenge for retailers. Smartphones and tablets earned a lower percentage of overall sales (30% versus 70% for desktop) and lower conversion rates through Cyber Monday. Retailers can close more sales with mobile shoppers by continuing to improve their mobile customer experience. Shoppers now find mobile as an easy way to check emails (hopefully your emails), find store locations and hours, get product information, snap and share photos, and compare prices. Optimizing mobile product discovery and mobile payments are the biggest opportunities for retailers to improve the mobile customer experience. Customers want a personalized shopping experience. Sales people help shoppers in the store. Now application of artificial intelligence are helping online stores create a similar personal customer experience. 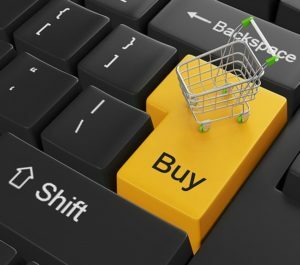 Online stores have massive amounts of behavioral and transactional data now. The challenge is to harness that data to power real-time merchandising decisions. That’s where artificial intelligence excels. The top application is personalized product recommendations. 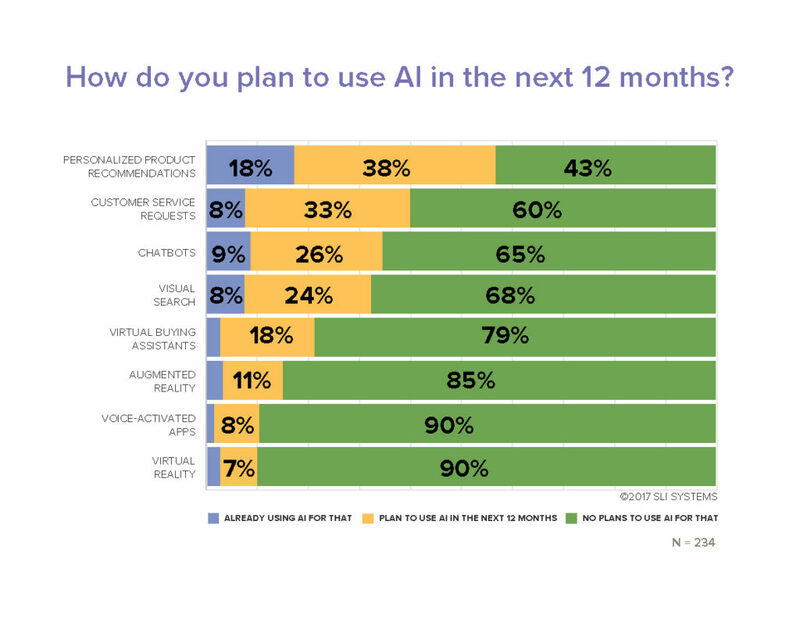 Eighteen percent of online retailers report they are already using artificial intelligence in their product recommendations strategies. But that number will swell dramatically in 2018 with 38% planning to implement within the next 12 months. Artificial intelligence can parse user activity, preferences, and sales trends. The result is smart and timely product recommendations that are personal. For example, this type of contextual personalization can be tuned to gender, clothing size, brand preference, or shopper’s location. Even better for online retailers, this personalization can be experienced by first-time visitors just as well as returning shoppers. So the shopper does not have to take any additional actions to receive the customer experience benefits. Chatbots were introduced as a new technology on the horizon for retailers in our 2017 e-commerce trend webinar. In 2018, chatbots are a must-have element of your online customer experience. Think of chatbots like your online version of a sales associate or employee. Except they are always on 24/7/365. A chatbot is an enhancement from the online chat communication channel. The old chat program still required a human sitting there typing in replies. Those employees had regular shifts. So sometimes customers weren’t getting their questions answered. Now a chatbot is an always-on program that simulates the conversations your customers have with you. It answers questions, handles specific requests, helps shoppers choose the right product, and executes customer service procedures. Your customer experience impact is shoppers have better and faster access to what they want when they want it. That’s a huge win. And you win more sales. Customer adoption, and the resulting better experience and sales, is the biggest reason why chatbots are growing in e-commerce. Additionally two technology drivers are accelerating the deployment of chatbots – smartphones (again) and artificial intelligence (again). Smartphone use is leading to speaking with a chatbot. Talking is easier than typing. Just say what you need and the chatbot tells you back. Siri, Alexa, and Google Assistant are all voice-enabled chatbots that are quickly growing is use. Artificial intelligence is helping chatbots be more effective. The chatbot can repeat existing information easily and can be taught to mimic decision-making patterns. But artificial intelligence makes a difference by helping chatbots to actually learn. So your customer experience is continuously improving. Planning and executing your customer experience strategies is a process of continuous improvement. Deeply understanding your customer’s journey sets you on the right path. Take advantage of the key trends and technologies. Then test your innovations, measure, and optimize for the satisfaction of your customers and for the results that matter to you. Ultimately, you can achieve what creative executive Loie Maxwell calls “designed serendipity”. Orchestrate the experiences that produce a customer journey that gives them a winning feeling. Your customers will love it. And you will win more sales. 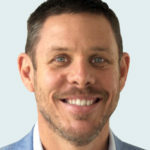 Is Your Customer Experience Leaking Sales? Most businesses are leaking online sales in at least 7 critical elements of their customer experience. Want to find your leaks? Find out your quick-win opportunities to take your conversion rates to the next level. There’s no contest: 2017 will be “The Year of Personalization,” and now we have some direct insight to back up this claim. 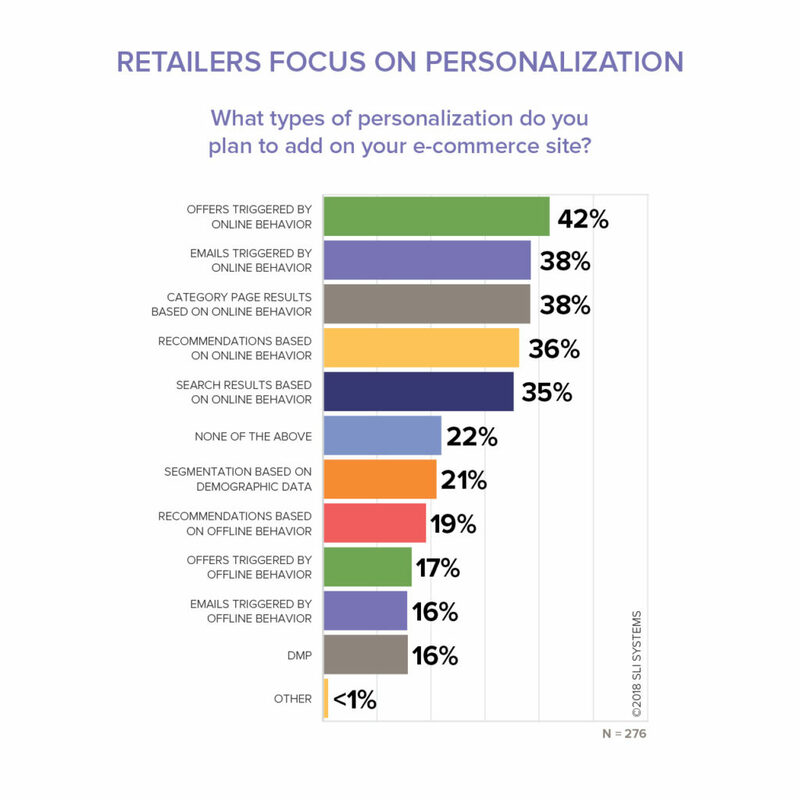 A recent survey distributed to all retailers attending SLI Connect NYC revealed all but one retailer at the show chose “personalization and relevance” as the top trend impacting e-commerce in the next year. What’s more, when asked about 2017 business priorities, all but one retailer chose “personalizing content and recommendations for the customer.” It’s time to make advances in personalization a priority. In supporting more than 17.5 billion search queries this year (a 12% lift over last year), SLI has a wealth of insight into delivering a personalized experience for shoppers around the globe. The new SLI ESP instantly and dynamically personalizes the shopping experience – for both first-time visitors and loyal customers – providing results that match shoppers’ needs in real time. Powered by the patented SLI Buyer Engine, SLI ESP adds contextual personalization to the industry-leading relevancy SLI is known for. We understand the same search term means different things for different people, which is why SLI ESP delivers different results to each shopper in real time. By continuously learning from user behavior and accurately predicting which products to present shoppers through their buying journey, SLI ESP acts as a personal shopper for your visitors, shortening the path to purchase, delighting customers and increasing revenues. When personalized by gender, SLI ESP beta customer Footwear etc. saw a 10% increase in revenue per visitor to personalized search and navigation pages. They also saw a 5% increase in conversion rate and average order value (AOV). Shop.org Summit Chief Artemis Berry sums it up well: “There’s not much better than a friend who ‘gets’ you. An e-commerce retailer that does can be a close second. You know the type: Anticipating your needs. Knowing your style. Giving you what you want, before you even know what it is (Medium article). This concept is more powerful than you might think. Rather than being overwhelmed by the personalization hype, it means you can start making it a reality right NOW. At SLI, we could not agree more. Not all shoppers are the same and neither are personalization solutions. It is time to delight your customers and keep them returning with the shopping experience that’s as unique as they are.